ARSENE WENGER HAS reaffirmed his commitment to Arsenal after recent reports linking him with a move to Paris Saint-Germain. The Frenchman’s contract expires at the end of next season but Wenger is looking to extend his stay in London, which is now in its 17th year. Arsenal have not won a trophy since the 2005 FA Cup, but the 63-year-old believes the club are in a good position to challenge for honours again after a period of financial frugality brought on by their move to the Emirates Stadium in 2006. He said: “I answered that question already. I respect my contracts. I want to stay (on past 2014). If I do well and if I consider or the club considers that I do well, that is all. “I want this club to do well, my basic feeling is that. We have gone through a period that was very sensitive, we are coming out of it now, in a much stronger position financially. Arsenal face QPR on Saturday, with their relegation to the Championship for next season already confirmed. Regardless of their opponents’ plight, however, Wenger has called on his side to retain their focus as they look to seal a top-four spot in the Premier League and qualification to next season’s UEFA Champions League. He added: “We go game by game. Every game gives you a different proposal that we have to sort out. We are highly focused on Saturday’s game and on our performance. Email “Forget Paris: Arsene Wenger dismisses PSG move at the end of the season”. 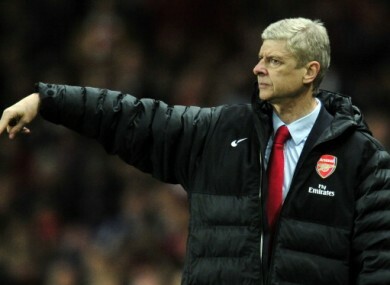 Feedback on “Forget Paris: Arsene Wenger dismisses PSG move at the end of the season”.